The evening will be a great chance to meet a variety of Holistic Therapists and Practitioners who practice in and around the Brampton area. It is an ideal opportunity to explore any interests you may have in this subject and learn a little more about it. Alan Hopewell is a very experienced and well regarded Allergy and Intolerance Tester, he has kindly agreed to give a 30 minute presentation on Allergy and Intolerances. There will be an opportunity to ask questions and chat to Alan throughout the evening. 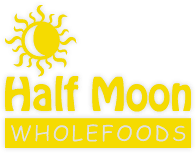 Alan will be testing in Half Moon Wholefoods on Tuesday 29th October. There will be a small entry fee of £3 per person, this will include light refreshments. Tickets will be available in advance from Half Moon Wholefoods.